The Audioquest Dragon Fly Red & Black Version USB digital audio converter is a new great gadget that can greatly improve your personal music listening experience. This cool device can allow you to connect to your laptop or smart phone to your preferred headphones or earbuds to greatly enhance the audio quality when listening to either Mp3 or high resolution music files. 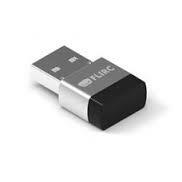 The DAC's are also preamplifiers and headphone amplifiers with great 32-bit digital performance. When putting together a smart home it can be very easy to skimp on the important stuff that can really enhance your smart home system like the quality of the wiring you are using. There can be a huge gap in cabling costs when it comes to options for your house. It is highly recommended to not just go with the cheapest cables and cabling as you get what you pay for as they say. Having a base line of quality to your smart home cabling infrastructure goes a long way when bringing your system together. Check out the company Audioquest for a look into the variety and options available to you and your smart home wiring needs. Audioquest has a high focus on audio quality including analog and digital cables to suit all the connection varieties you will need. The newly released Sonos 6.3 system update brings new features to the Sonos eco system further advancing the application and streaming audio service. Now with the new iPhone 6s or 6s plus you are able to gently press the Sonos app icon from the home screen of your phone to get access to the short cut menu. The shortcut menu allows you to play and resume what you last listened to, choose a favorite from your starred favorites and/or search your Sonos system for music. With the new Sonos update you are able to now control the music from your iPhone or iPad lock screen. This gives easy access to changing the track or station, play and pause quickly and also the ability to adjust the volume on the fly. You are in need of a change of TV service because you are unhappy with what you are being provided with for the price you pay so you make the call to the satellite company. You place your order to switch over your TV services and an appointment is made for the following week. Finally the day arrives for your appointment and you wait until the third hour of your four hour time slot and right at lunch time the technician has arrived. He happens to be driving a personal vehicle with a magnet sign on the side of his vehicle which says authorized contractor, thats odd but ok. 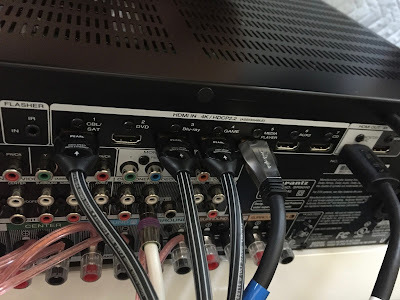 The installation seems to be going fine and you eventually get picture on all the TV's you have in your home which was the main goal for switching over your services. After a small tutorial and a show and tell on the new features of the system the technician has you sign for a job complete and he proceeds to the next job never to be heard from again. Having a nice outdoor space is what many homeowners dream of having and what better way to fill the space than a TV outdoors. An outdoor TV can be a great thing but it is highly advised to keep it protected from the outside elements. 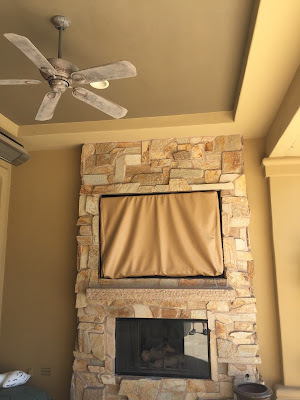 A simple TV cover can greatly protect your TV from dust, wind, debris, rain and snow which can increase the longevity of your TV for many years to come. When creating a Smart Home it is very important to pay attention to the small details of your system. The difference between a "good" system and a "great" system are those little details when bringing all the elements of your home together. 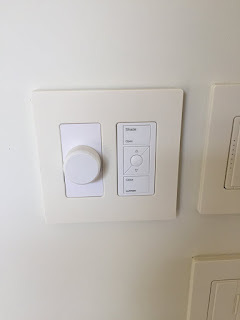 As you can see in the picture above even a small detail like the color choice of a keypad, volume control and Lutron Pico remote can have a negative effect on the appearance outcome of the controls on your walls. The correct color choice in this situation could have helped blend all the wall controls together more harmoniously helping the aesthetics of the space in the house. Paying attention to the little details when creating and installing a smart home or even simply installing a smart home device like the Nest device is very important and is what separates the great from the good. If you are looking to update the firmware version of your Crestron MC3 processor the first step is to download the corresponding .puf file from the Crestron website. This can be found under the MC3 processor product page under the resources tab and scroll down to software and firmware title. Once the latest version of firmware has been downloaded to your computer simply double click the above icon to open up the package update tool. Upon launching the tool it will immediately take you to the Crestron address book utility where you will either reference the address entry for the processor you are wanting to update or you can create a new entry entering in the IP address of the processor on the local area network. After you have connected to the processor from the address book entry page the updater tool will search and suggest what updates are available for your processor. Put a check mark next to all elements that you would like to update and proceed with pressing the update button. When building a smart home you will definitely need a space to fit the necessary equipment for your integrated system. A rack enclosure is the best possible way to achieve an organized space to bring your components together. 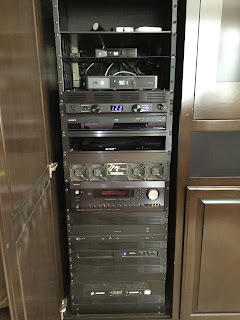 Including a rack into your project allows for orderly wiring to and from your electronics and also allows the equipment to be serviceable down the road when issues/problems arise or you decide to make changes to your system. Equipment racks come in many forms to fit many different spaces and applications. Heat generated from electronic equipment can greatly damage the components especially if you have many devices housed in the same location. 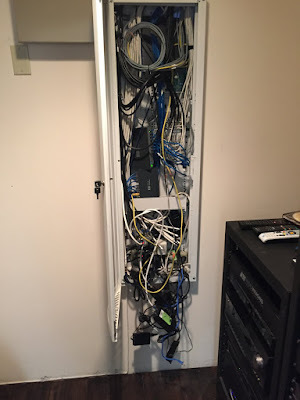 If an equipment rack enclosure is used to better manage the wiring and location of all the devices you have for your smart home then dealing with the heat form the rack is very important. 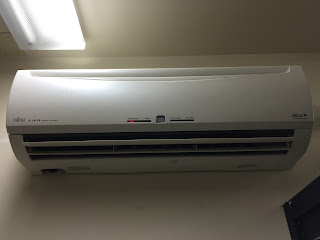 The heat generated from all the devices builds the heat in the space which is usually a closet or space that is seals the heat raising the operating temperature of all the devices. When the operating temperature is higher than normal your devices longevity suffer wearing the components prematurely. Smart home wiring management is a very important part of your smart home system especially if you have contracted a company to do this for your home. The wiring of your home is the back bone of your system and if it is done incorrectly it can lead to issues down the road including communication and reliability issues of your system. 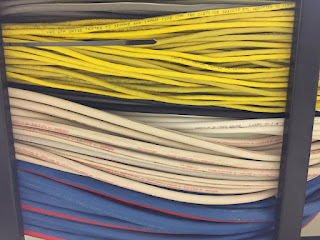 A good general rule of thumb when assessing the wiring quality of your home is if the wires look messy and unorganized then you can bet that they are and the quality of work is not where is should be to deliver a great system which is why you ultimately hired a professional. The quality of your smart home is only as good as your wiring permits. 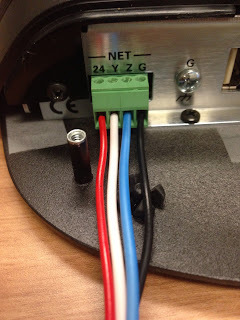 A quality and organized wiring job can significantly reduce your service costs maintaining the system and especially important if changes are made to your system down the road. Labeling of your smart home wires are equally important to reduce time spent determining where and what various wires are for. myCrestron cloud power in a new service offered by the smart home automation company Crestron to accompany their recent IP based control system. The idea behind myCrestron cloud power is for the smart home company to pair all their existing Crestron Pyng systems together in one space to monitor and effectively show them in the cloud with a centralized dashboard. The system dashboard will be able to alert you if a system is having an issue and with the automatic logs the Pyng system sends to the cloud. The Crestron true blue support team will also be able to help you that much easier compared to a traditional Crestron control system. Crestron also poses the idea to generate recurring revenue with the new myCrestron system. This could be in the form of a monthly system monitoring service that you could now offer to your client if you did not have an existing system in place for this service feature. The Nest 3rd Generation thermostat is the must have smart home item that increasingly is integrate-able with many of the leading smart home control systems out in the market these days. Even if you are not running a control system to manage all your devices at your home, you can greatly benefit from this device with their stand alone app that will get you up to speed controlling your climate from your phone at home or when away from your residence. Nest can be integrated with your Control 4 system, Crestron system or even your RTI remote control system very easily. Nest is also recently controllable with your Amazon Alexa Hub via voice control. Savant systems is even soon to release their update to be able to manage your smart learning thermostat. The Sonos Update 5.4 arrived and included many improvement upon the Sonos sound system eco system. The Sonos user interface music experience has been enhanced to now add the upcoming track preview when in shuffle mode. There were also enhancements made for the Google Play and TuneIn music services. 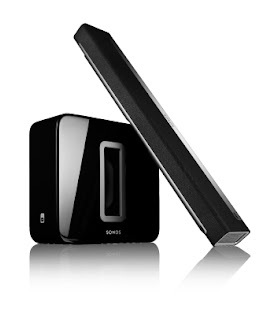 The Sonos Play 1 audio sonics have also been updated to improve the tonal qualities of the vocals when playing music tracks. The equalization of the Play 1 when paired with a Sonos subwoofer has been modified to allow for better performance with the Bass frequency spectrum.